The presentation touches upon all of the remarkable developments in and around photography at the time: fashion, celebrities, music, magazines, design and social change. In the exhibition, Foam brings together the work of iconic photographers of the sixties – who in their heyday were often as famous as the stars in front of their cameras. Featuring work by Terence Donovan, Brian Duffy, John French, Norman Parkinson, James Barnor, John Hopkins, John Cowan, Eric Swayne and Philip Townsend. In the mid-1960s, the capital of England stood for everything hip, fashionable and cool. In April 1966, America’s Time Magazine even dedicated a complete issue to London: ‘the Swinging City’. “Ancient elegance and new opulence are all tangled up in a dazzling blur of op and pop,” writes Piri Halasz in the legendary cover story. This period in London’s history represents the transformation the capital underwent in the decennia after the war, from a grim, shattered city to an international and lively epicentre for style, culture and Fashion. The Swinging Sixties marked the birth of the superstar, the fan and the individual, but also saw an economic growth which resulted in extensive democratization. From now on, fashion and leisure were available for many more people. attitudes among the younger generation changed, too. In the sixties, the free-spirited baby boomers rebelled against the conservative post-war culture of their parents. These were the golden days for music, design, fashion and style, and it was in London where models became superstars. Pop stars grew even bigger, with bands like The Kinks, The Rolling Stones and The Beatles defining the sound of the sixties. Photographers Terence Donovan and Brian Duffy, well known for their catchy portraits of models, musicians and actors, shape our image of the Swinging Sixties. The photographers are as widely known as the stars and socialites they shot, and perhaps just as infamous as well. These were self-made boys from the poor East End of London. Donovan excels with his fashion photography, narrating series and moving portraits of female and male models. Duffy shot iconic photographs of famous models and personalities like Grace Coddington, Jane Birkin, Mick Jagger and Michael Caine. With their groundbreaking style and technique, they rebelled against the day’s leading photographers, John French and Norman Parkinson, who themselves were important for British fashion photography in their own right, and had proven to be influential pioneers in the preceding decennia. Also Eric Swayne, whose archive was recently rediscovered, is featured in the exhibition. Swayne was in close contact with rock stars and top models, which is how he managed to shoot his intimate portraits. John Cowan made the optimism of his generation visible by literally letting his models kiss the sky. James Barnor’s photographs, featuring British-African models, demonstrate the social changes of the time. Youth culture and social change will be magnificently addressed through the work of lauded protest leader and photographer John ‘Hoppy’ Hopkins, accompanied by the moving and often cheerful shots by society photographer Philip Townsend. These are enriched with examples from music, film, magazines, fashion and design. The presentation breathes the Capital of Cool in many ways, and offers a comprehensive experience of swinging London in the sixties. L’emozione della vertigine. Capri – Cortina. Inaugura a Capri il 18 luglio, nell’ambito della VII edizione del festival della fotografia organizzato dalla Fondazione Capri, la mostra fotografica che attraverso le immagini di Massimo Siragusa mette in mostra le similitudini e le caratteristiche intrinseche di due territori riconosciuti come ambasciatori dello stile Made in Italy. La mostra dopo Capri si trasferirà in alta quota, proprio a Cortina d’Ampezzo, per la stagione invernale. E a seguire, la destinazione sarà il mondo. Sono Capri e Cortina d’Ampezzo le protagoniste della settima edizione del Festival di fotografia di Capri che, nell’edizione del 2015, proporrà le opere di Massimo Siragusa, a cura di Denis Curti. L’emozione della vertigine. Capri – Cortina. Questo il titolo dell’esposizione fotografica che presenta due località di prestigio con identità paesaggistiche evidenti. L’indagine fotografica prende il via proprio dalle molte similitudini tra Capri e Cortina. Entrambi i luoghi sono tra i massimi punti di riferimento per il turismo di qualità ed entrambi sono caratterizzati dalla presenza forte della montagna. Ed è proprio tra questi spiragli che esplodono lo sguardo progettuale di Siragusa e la sua idea di racconto del paesaggio attraverso l’emozione della verticalità, della vertigine, delle altezze. Due destinazioni recentemente entrate a fare parte dei “Territori di Eccellenza” di Altagamma, la Fondazione che dal 1992 riunisce le imprese dell’alta industria culturale e creativa italiana. Le immagini di Massimo Siragusa verranno esposte dal 19 luglio al 30 agosto presso la Certosa di San Giacomo a Capri, per poi “volare” in alta quota, nella Regina delle Dolomiti durante la stagione invernale. L’edizione del 2015 del Festival di Fotografia vede la collaborazione tra la Fondazione Capri ed il Consorzio Cortina Turismo, Capri e Cortina d’Ampezzo. Ancora una volta un progetto di ampio respiro che attraverso nuove sinergie e modalità di collaborazione vuole mettere a sistema due realtà che a tutti gli effetti si distinguono come ambasciatrici del migliore Stile di Vita Italiano. si colloca nel segno della continuità progettuale e culturale, dopo le esperienze espositive di grande successo dedicate al barone Von Gloeden (2009) e Mimmo Jodice (2010), a Herbert List e Maurizio Galimberti (2011), a Irene Kung e Ferdinando Scianna (2012) e Francesco Jodice e Olivo Barbieri (2013), Giovanni Gastel, (2014). Nato a Catania nel 1958, Massimo Siragusa vive a Roma, dove insegna fotografia presso l’Istituto Europeo di Design. I suo lavori sono stati esposti in molti musei e gallerie in Italia e all’estero. 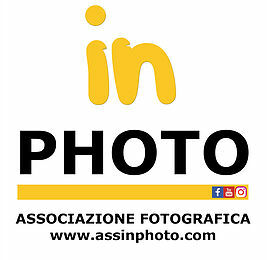 Le sue fotografie sono apparse sulle più prestigiose riviste internazionali ed ha firmato numerose campagne pubblicitarie per aziende come Lavazza, IGP, Provincia di Milano, Kodak, Eni, Bat Italia, Aeroporti di Milano, Bosch, Alfa Romeo, A2A, Autostrada Pedemontana, F21, Boscolo Hotels, Mychef, Versace, Bisazza, Kartell, Conad, Unipol Banca, Telecom Italia e Coca Cola. È rappresentato dalla galleria Contrasto di Milano, dalla Galleria del Cembalo di Roma e dalla Polka Galerie di Parigi. The images by Mario Giacomelli (1925-2000), one of the most well-known Italian photographers of the post-war period, are distinctive and possessed of an almost painful intensity. Inspired by Neorealismo cinema, Giacomelli, a typesetter and printer by training who had been experimenting with painting and literature, turned to photography during the 1950s, developing a highly individual visual idiom characterised by graphic abstraction. His works, all of them conceived as series, combine elements of reportage with lyrical subjectivity and a symbolic aesthetic which seems almost calligraphic in its harsh contrasts between black and white. Starting with the people and landscape of his native central Italy, Giacomelli’s pictures always deal with the fundamental questions of existence: life and death, faith and love, the relationship of man and his roots, the traces of time. One of his most well-known images shows a group of young priests in their cassocks dancing a round in the snow – a moment of innocence already inscribed with loss. Giacomelli’s images of the farm land around his native town of Senigallia, taken from an airplane, dissolve the fields into picturesque networks of lines, showing the landscape as a product of human toil and the passing of time. On the one hand, they express a personal feeling; on the other, they embody a clear, courageous and conceptually groundbreaking attitude. The photographs on display are part of the Photography Collection OstLicht, curated by Rebekka Reuter and Fabian Knierim. ← L’ironia è una cosa seria, mandateci i vostri scatti delle vacanze.